This image is one that I captured the day my first son was born. Those tiny little hands, his sweet little face and the expression of unconditional love from my husband - it warms my heart every time! I love returning to the early images and remembering that precious yet fleeting time with my new baby. Now 6 years old, he’s still a sweetheart and snuggles up to me when we look back with fondness at his baby photos and he sees the love we felt for him from the moment he was born. FRESH 48 sessions take place at your hospital/birth place within the first 48 hours of your newborn’s birth. 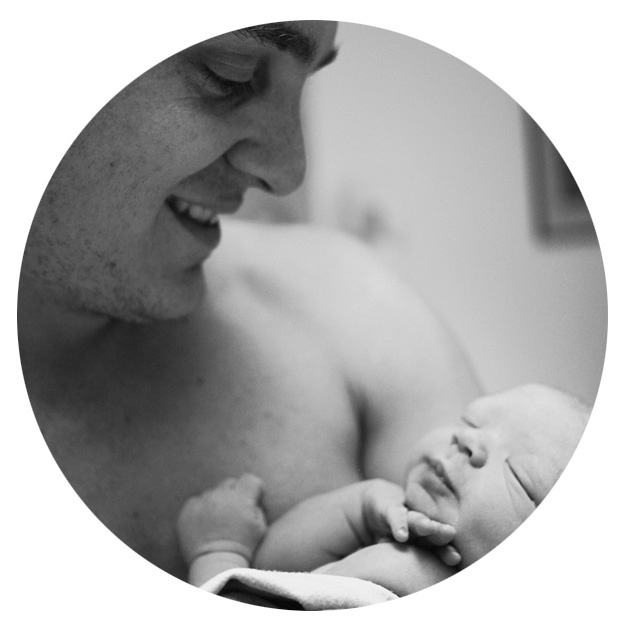 This session is a great way to document those first few days with your new baby and provides you with a collection of images you can keep and cherish but also use to announce the arrival of your new bub. I love all my photo sessions to be centered around the experience itself, the way you connect with each other and the emotions that unfold in our time together. Let’s take perfection out of the picture and find the magic in the spontaneous unplanned moments when you start to let down your guard and fall into that space of being the real you - don’t worry I’ll help you get there! I adore creating a natural style of imagery because to me it’s these types of honest images that gain traction and power in years to come. They keep pulling at your heart strings over time as they retain meaning through their depiction of genuine emotion. Being calm and relaxed by nature, I bring a fun lifestyle approach to each photo session and welcome all family members to be involved. I can’t wait to hear more about you and start planning! Please contact me to learn more about my photography sessions and current pricing for 2019.